Lone Warrior has contributed to 1211 posts out of 468616 total posts (.26%) in 3,780 days (.32 posts per day). So Lone with there being new enemies every level is there also going to be new flood allies as well. I would like to see the flood Juggernaut as an ally and have the epic feeling of it tearing down covenant maybe in later levels tho. But i'm very interested in the ideas of new flood forms! We've got some plans for new Flood Units, but right now we're not willing to go into details about them as the concepts are still quite rough. 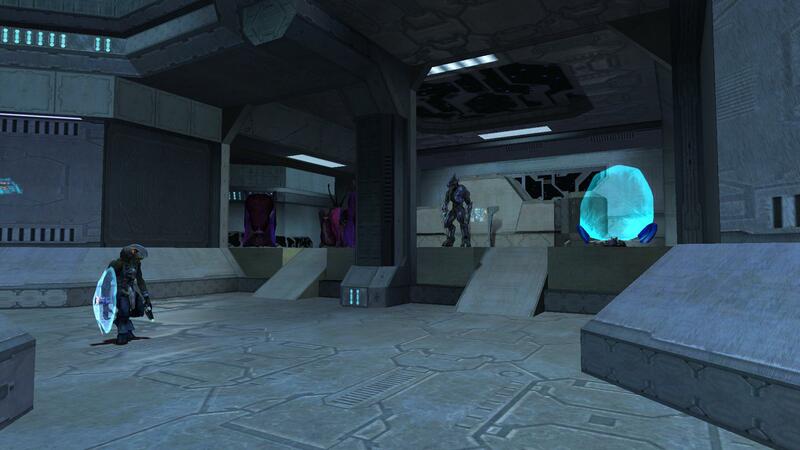 I can say however, that currently we're not planning on adding the Flood Juggernaut from Halo 2 into the Mod. We have been looking at the existing Flood Units in some regard though. We're probably going to end up gradually improving them over the course of the Campaign. Currently the improved Armoured Elite Form we're using is pretty badass. are you almost done? and will you please add cool﻿ updated weapons and enemy's? It's gonna be a while before the entire Campaign is completed, let me put it that way :). As for adding new Weapons and Enemies? Entirely possible! We have quite a few concepts/ideas for new weapons/enemies, and we have a goal of adding at least one new enemy per level. Looks fantastic lone & company, absolutely awesome level design thus far. Let's keep these sort of comments to a minimum please. Voicing an opinion is cool with me(regardless of whether it's positive or not), but let's keeps comparisons to other SP Projects to a minimum. Lumoria was personally a great inspiration for me. Both of our Projects do things differently, and each has their Pros and Cons. Let's try and keep on-topic about the recent video. This just keeps getting better and better! However, the only thing I don't particularly like so far is the excess of covenant crates on the forerunner BSPs. As the covenant are digging in to all the forerunner tech, yes some should be placed here or there, but not randomly sprawled around. They do serve as effective cover to spice up the playing style a bit, but do you guys think it would be worth it to make some sort of forerunner barriers/crates to replace them? We've actually got a reason for there being so many Covenant Crates. We had some pathfinding issues with the Forerunner Crate you see lying around that caused AI to think there was an obstacle where there wasn't. This issue was only fixed recently, and I haven't gotten around to replacing some of the Covenant Crates with Forerunner ones just yet. As for adding in new Forerunner scenery? Absolutely! Adding some more varied scenery for the level is going to be a must. Forerunner Barricades and other Crate variations are on our to-do list, don't worry :). Good day Ladies and Gentlemen, welcome back to another scheduled (albeit a bit late) update. For today�s update we�re showing off some of the first Gameplay of Released in a short video. This 30th we�ll be taking a look at the next few areas for Released, and possibly some re-worked Assets. Until then, good luck folks. In all seriousness, welcome to our first Monthly News Post! Today I'm here to show you some new pictures of Released in development. Since we returned we've been working hard to get things done. Mopping up some issues in existing BSPs, re-evaluating the layout and design of Released, and of course creating new content for the map. Earlier this month I uploaded a picture that showed you a first glimpse at some Flood Biomass that was designed for Released. This design differs from our previous iterations in that it is a part of the level, and not seperate Scenery tags that are placed in the Editing Kit. This allows us greater freedom in both Gameplay and Graphical elements for Released. 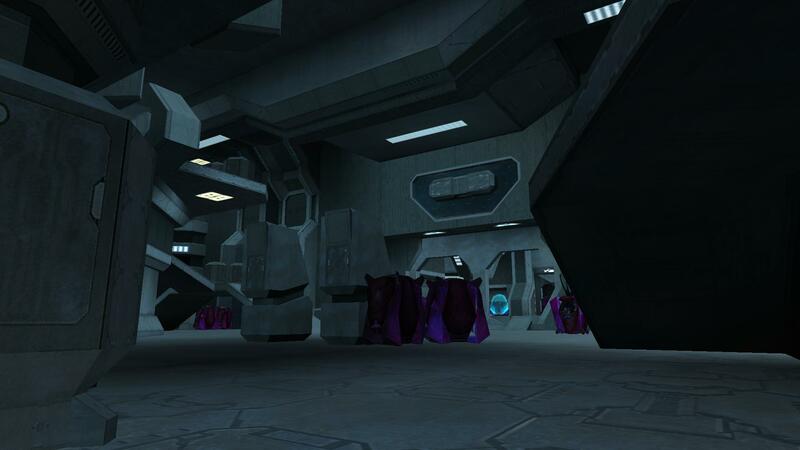 Alongside the obvious Biomass, we've also added in the Flood Infection Pods that were in Halo 3. I'm happy to say that these function very similarly to their Halo 3 counter-parts. The only difference is that the pods blow up fully (The pod disappears after exploding.) when they release Infection Forms. Moving on to the rest of Released, we've got some Pictures of a new area that's been recently designed. 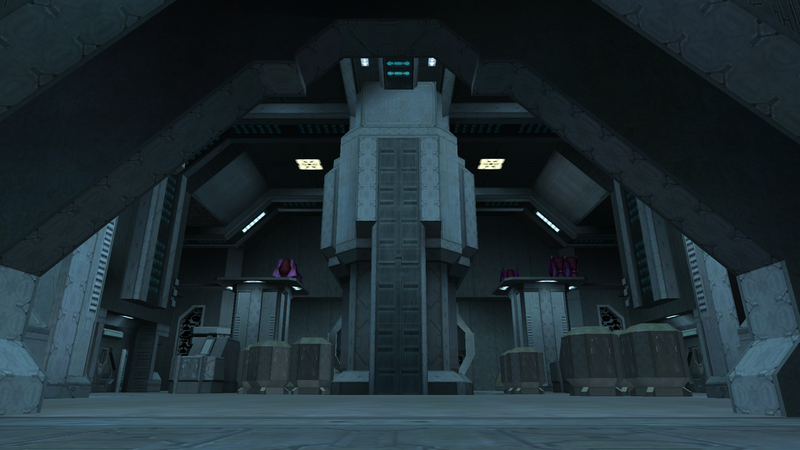 We aimed to make this area similar to Sacred Icon, as one of the themes of Released is a Sentinel Factory. Expect lots of moving parts, energy conduits, conveyors e.t.c. Gameplay-wise this area was designed to give the Player many options on how he wants to engage the Encounter here. This area is quite early in the level, there aren't many Allies the Player has, so attacking this area up-front isn't a smart idea. The area itself is comprised of 3 levels, or tiers. There are plenty of opportunities for flanking, but once you're spotted by your enemies, they will be ruthless in tracking you down. 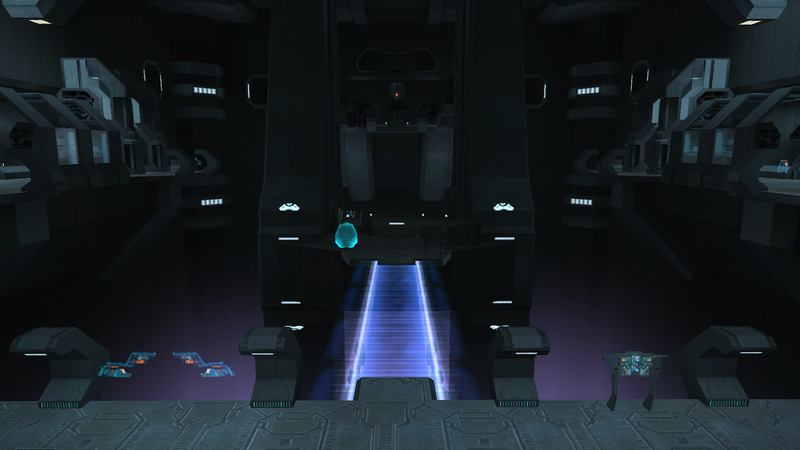 The Covenant realise how big of a threat you are, and to the Sentinels you're simply an escaping prisoner. There are some interesting things the Player can do in this Encounter, and we're aiming for getting a Gameplay video of this area online sometime next month. Koo and I will probably provide some commentary for this video to explain some of the features that we'll be showing. There's a lot we want to talk with you guys about, but we don't feel it's the right time to talk about them just yet. There's a lot going on behind the scenes that don't make it into these News Posts, but they will be unveiled in time. We'll be back at the 31st of next month (or maybe sooner!) for our next scheduled update. Until then, I hope you've enjoyed looking at what we've shared this update, and I look forward to sharing more of what we create with in the future. P.S: The Himalayan Mountains thing was a joke. We're not using OS; nor am I going on a spiritual journey. Koo was just poking fun at my expense :P.
Does anyone know what these are from? It's literally Gravemind combat dialog... Da heel is dis from? Thought you may be interested Lone. Halo 3 maybe? 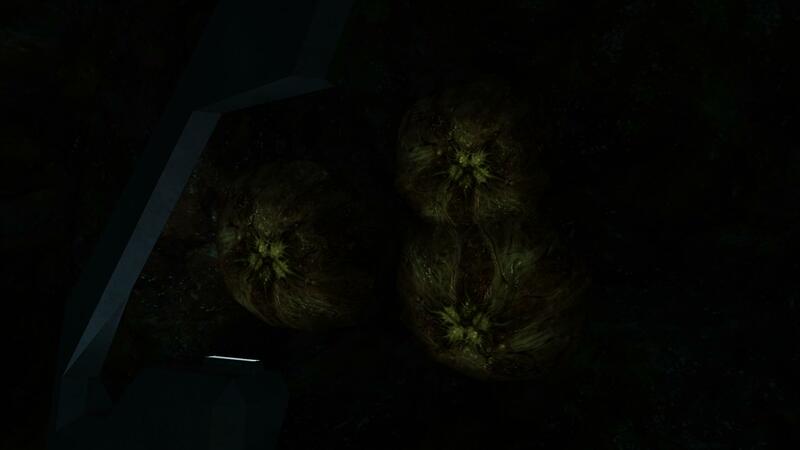 I seem to remember the Flood having dialogue where the Gravemind would speak when the IWHBYD skull is active. A lot of the effects for Gravemind come from voice editing anyway. You can really only do so much with your voice. The last time we looked at the dialogue, we came to the conclusion that we'd need to dissect the existing Gravemind dialogue to see how Bungie put it all together. I would have liked to have seen an in-depth Bungie Publication on Dialogue, it's a shame they didn't put one together. I found some interesting information in it, if you're going to be working with sounds (music especially) I'd give it a read. If your still on the fence on getting voice acting to gravemind. Thinking about what we have planned for the Story, I think it will be necessary to include a voiced Gravemind. The extent to which he's voiced is something else however. As I've mentioned before, I don't want him to be as chatty as Cortana. But there still needs to be dialogue cues discussing the areas you're moving through. 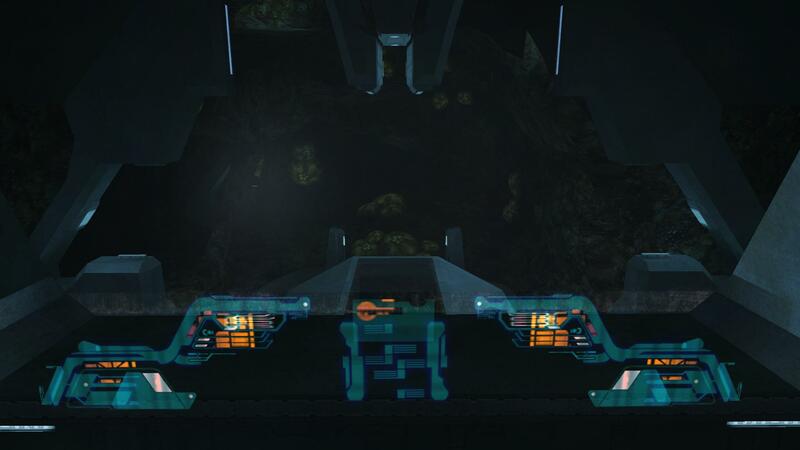 For example, if the Player was to move through an area with lots of locked up Flood, the Gravemind could order the Player to release more of the Flood to help. A lot of what we have planned in terms of Story involves direct conversation between the Gravemind and the antagonists during the Campaign. There's not really much room for maneuver here. 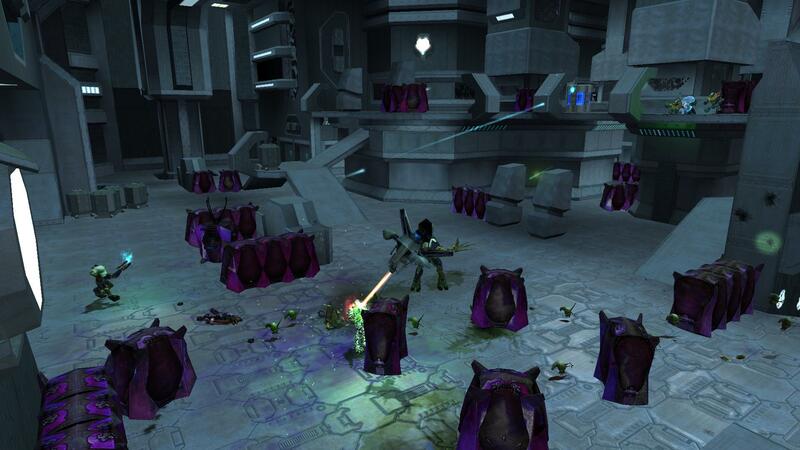 I hated those forms in halo wars. especially the little bat sheets. As for the audio files, I want to listen to them. I love listening to hidden stuff from Halo 2. On the topic of Flood-infected Animals though. I think it'd be interesting to see what sort of concept Bungie drew up (if any) of possible Flood variants of the animals that were meant to be present on Halo. I remember fighting those in Halo Wars. Such a pain. They're pretty cool (especially the Thrasher), not sure about the Bat things though. About adding the Tank Form from H3; I don't think we'd add that specifically. We might include something similar to it. In the end it just comes down to us preferring to make a Custom Biped/AI instead of something you guys have already seen. Throw a Juggernaut in there while you're at it. The H2 version. We have the H2 Juggernaut model (rigged like a carrier mind you), but personally I'm not a huge fan of the model. If we were to include a Juggernaut-type Flood, it'd be a custom model, and we'd probably make it more similar to the Tank Form from H3. 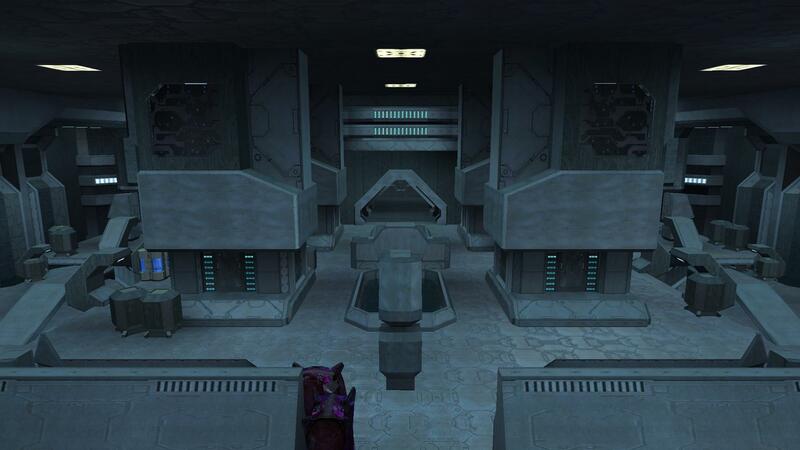 Interesting to note though; when I was diving into the Halo 2 sound files, I found several that reference the Juggernauts being used in both Sacred Icon (near the end) and Quarantine Zone. Includes dialogue from generic Elites, and Tartarus. If anyone is interested in listening to these, let me know, and I'll upload them. Not to mention that they would be almost worthless to the Flood. I guess they could always use more biomass. If Dogs/Cats were infected, as DumbAI points out, they would only really be used to create more Biomass. Maybe 2-3 of them would be lumped together to create a Carrier, but it's doubtful they'd be used as Combat Forms. Creating Flood Forms from animals isn't out of the question though (as far as canon is concerned). The larger the beast, and the more powerful, the more likely it is that it would be used as a Combat Form. This is how the Flood started funnily enough, as Infected Animals known as 'Pheru'. Posted this on Twitter earlier, something to keep you guys interested while we work on the rest of the Level. This area is really our first try at doing BSP Biomass. I'm happy with how it's turned out (it's still Work In Progress mind you). I think it needs more changes before we're done though. Bitmaps used for the Biomass are from Halo 3.
lol I found that overshield today too. Voice Acting will be something we will need many actors for in the near future. Even though I do feel it's too far ahead to discuss just yet, I will let the community know when we need these voice actors. As far as Gravemind goes, I'll most likely be the one voicing him unless we find someone else who is suitable. One of the reasons why custom Gravemind dialogue didn't make it into StKft was because we were having troubles getting it to sound correct. Partly because of my accent, partly because getting the effects for the voice right was extremely difficult. He should hide a cool easter egg that people like us would get since we're all around the same age. That'd be legit. I'm sure we'll think of something to add in. A reference to a game/movie that younger generations won't have seen but we would have, seems the right course to take. Like Lone, I was young when I started (younger actually, around 12). 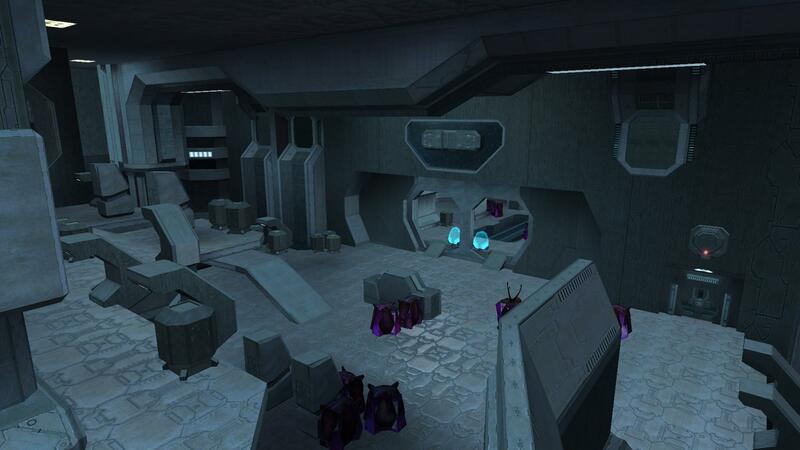 I'm only 18 now, but to think I've spent a lot of free time in the past 6~ (I don't mod Halo anymore) or so years creating maps is simply like "wow". I'm sure its the same for Lone there, and I think all of us map makers could agree it is a worthwhile experience. Pretty much this. Thinking about the amount of time I've spent modding for CE just makes me think "woah, where has the time gone". It is a worth-while experience though. I've learned a LOT from working on CE and this mod. If I ever decide to enter the industry, a lot of the stuff I've learned here would be applicable (assuming they're not out-dated techniques). If you're thinking about going into the industry, then a strong base to work on would be learning to mod for a popular game engine like Source/CryEngine/Unreal. Blam! of course isn't fit into this category because it's not as popular as many (myself included) would like, and hasn't been updated in years, whereas Source, CryEngine and Unreal get updated regularly. A 3 part dialogue you say? I've found 2 so I guess I have some exploring to do. Sure thing man, It gives me something to do in my down time. I'm kind of inclined to ask though, are you in college or older because I've noticed a rise in the younger age group for developers. I'm not in College currently (trying to get money together to pay for it). As for my age, I hit 20 back in late May, but I started modding for CE a loooong time ago. I think I was about 15-16 at the time. 2) It allowed me to create whatever I wanted. It was a huge potential outlet for creativity. Creating my own Halo Story was always something I thought would be awesome to do. I know for others it's exactly the same (Who doesn't want to make their own story based on MC or another character?). It really depends on what sort of map you'd like to make. If it's MP, it's 'straightforward' enough (I use that term loosely) compared to a SP map. SP takes a LOT of thought and planning. Personally Koo and I go through quite a few rough layouts of areas before modelling them. For StKft, this was similar, but since they were already modelled it was more a case of figuring out how best to plan the Gameplay. MP is similar in this regard, before starting modelling it's best to do a rough layout/idea of what you want the map to look like. Points of Interest, areas where intense gameplay should occur (over a Rocket Launcher spawn for example), vehicle/weapon spawns. As far as I'm concerned, before considering any Aesthetic Design, Gameplay must come first. A map can be pretty looking, but if it plays horribly it won't be as often played as if it was well-balanced. Anyway; if you're (or anyone for that matter) still interested in getting into the thick of it in terms of mapping, you're more than welcome to add me on Xfire ( warlordkillsall ) and I'll try and answer any questions you might have, and offer any advice at my disposal. I remember a tweet from September about beta tester on modb. Is this still a thing because I could volunteer for that seeing I have about the spare time as y'all do so I could get a detailed in depth constructive criticism and feel to the level. If not, well I'm still interested. That tweet was a reminder for people who had beta tested already that they were needed again to test before we released StKft. Beta tests are currently not open for any of our levels I'm sorry to say. If you'd still like to do an in-depth criticism of the level, you're more than welcome to do it for StKft v1.0. Just send me a PM with your feedback and I'll read it when I can. Funny you should ask; Koo and I were only just discussing an Easter Egg for Released yesterday. That 'scream' is actually the third part of a 3 part dialogue set from Doom 3. All 3 parts are scattered throughout the level for you to find. The room itself was meant to reward players for exploring off the beaten track. It activates some allied AI for attacking the Control Room too. So you're rewarded both with weapons/ammo and with more allied help. This was actually a common feature in StKft, and talked about in the Manual a bit. So no playing as an infection form huh? We haven't fully settled on any particular idea on how we want to start the campaign just yet. We have quite a few ideas (including playing as an Infection Form at the start) but the one we're moving towards right now is something different to that. We'll see how what we're doing currently works out, and if it works well we'll probably end up keeping it (Would rather not go into details right now about it, but if it works you'll be seeing something of it soon enough). I don't want to say it is or isn't possible that you will or won't be playing as an Infection Form though, as things may change as development continues. We'll see how it progresses. When Is the next release for anything? July 31st? The next News Post will most likely be on the 31st of July. Although there is a possibility that we will be at CE3 this year. If we are, expect a news post to go with our appearance. Glad your finally back and working on this project again Lone. You still thinking about having the ability to spawn flood spores with infections inside or similar? As bourrin said in his post, we're considering a sort of Flood blob that can be thrown like a grenade, which when used, drains a bit of health. This blob will spawn Infection Forms when thrown. The technical side of it is that we use a vehicle with integrated actors which flips releasing the actors inside. Infection Forms turning certain AI into Flood is an OS feature, and I'm afraid we're not planning on using OS at this time. It's a possibility we'll use it for later levels, but we definitely won't be using it for Released. I think you should make the player some sort of mutation rather than a default combat form, to really set the player apart and to justify the buffs that you get compared to the normal flood. While a mutation would fit quite well into our story (and I may add it in because of this), we currently have a reason in the Story as to why your Combat Form (as well as a few others) are so special. It stems from the idea that the Gravemind on Alpha Halo has been rotting for a few millenia. He no longer has the power to control all of the Flood on the Ring at the same time, and so assigns what could be comparable to 'Lieutenants'. The first few Flood Combat Forms created are given semi-independence from the Gravemind, mainly in how to complete their objective. While we're still discussing what other bonuses this role could give to these 'special' Flood (The Player included), it covers the basics of why the Player is different from the others, and why he seemingly appears at the forefront of most major battles. This itself is only a rough idea that we have in place for an explanation that fits within our Story, the details still need to be worked on. 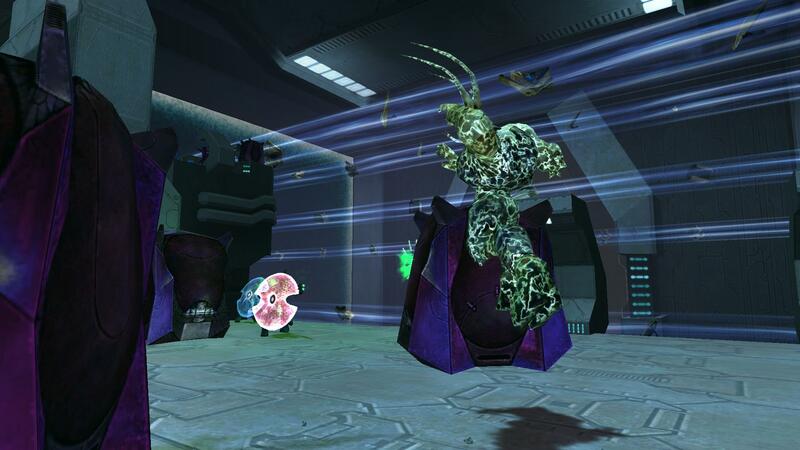 A thought for the X-shaped Sentinels: perhaps instead of a beam, you could use glowing red needle-like projectiles, similar to those used by the Enforcer in Halo 2. We had considered making a major variant of the Marauders that does use the Enforcer Needler weapon, and has a frontal shield similar to the Shielded Sentinels. Not sure if we'll make it gold coloured like the Sentinel Major though. Very excited. The first level released was a lot of fun, and I look forward to whatever content is shown at CE3 this year. Do you guys plan to release each map at a time, or give the community all four maps once they're finished? We'll release each map one at a time. Then, once the maps are finished, as one bulk map-pack (This will probably only be uploaded to Moddb, as iirc, Dennis doesn't allow Map Packs to be uploaded). This looks promising and all but I must ask something.. How do you forget that you're exiled?.. Is it just like "Oh, hey.. I'm bored, so I'm going to go home an-waiiiiiiiiiiiiiiiiiiit a minute!" You don't forget that. Other people do. They no longer remember who you are or that you have been exiled. Dumb AI put it best. The 'Exile' is the Gravemind on Alpha Halo. Like humans and covenant showing up to let you free? The title makes sense now. Any other things like this that don't seem to make any particular sense, feel free to ask. I'll gladly talk about it, and will probably add to the FAQ if it's a popular question. Nice Forerunner. It's a little bland though, the color scheme is very unvaried. Look at what Bungie did for the interior of the Silent Cartographer- some areas are pretty dark, some are very bright, some are lit with warm lights, others with cool lights. Simply switch the shader they use to a different one that has the same bitmap and UVs, but different radioisty properties. Hmm, this hadn't actually occurred to me to try, and I've been looking for a way to improve the lighting scheme overall, so this is something I'll definitely give a go. Thanks for the feedback. Stock b30 did indeed have a lot of warm lighting, but it was also an earlier level where the focus was on exploration, not the creepier, more ominous feeling that snuck in during b40 (a little) and c10. As such the lighting cooled down dramatically in later flood levels (b40 has very little warm lighting). However, there are some purple(blue) light shaders in some of the sp tags that would add some nice variation while keeping the general color scheme you have going. Some warm lighting isn't bad to break stuff up, but I would avoid going to the full extent that b30 did, with entire rooms lit primarily with the warm light_overhead_bright shaders. In addition I love your architecture, it's very much riffing off the interior a30 stuff (from the warthog run) as well as b40 and c10 from what I can tell. Very creepy, ominous shapes, I am very impressed. Nice work! Thanks for the additional feedback! I'll be sure to take a proper look into the light shaders while we develop this level. I think I know a few areas where some warm lighting would fit very well, and help break-up the monotony of what could potentially be a limiting colour/lighting palette. About the architecture: I got a lot of inspiration from c10 and b40 in particular, but it wasn't just from CE. 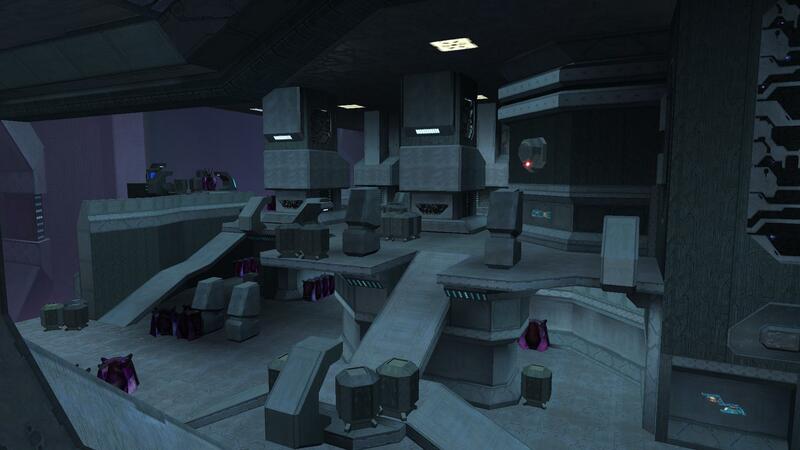 I have some very large folders crammed full of pictures of architecture from Halo 2. In particular, from the level Sacred Icon. I really loved the feel that Sacred Icon gave off when you played it, and it's something I hope to capture both in our interior BSPs, and exterior BSPs. On-top of this we're trying to take a thematic approach to some areas of the level. Some parts being based off of Containment areas, others off giant Sentinel Factories. 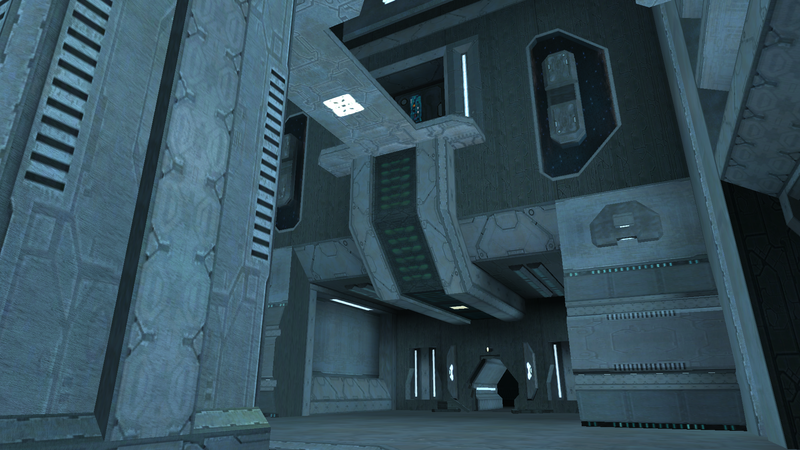 We're not aiming to replicate the cheery feeling from some of the Halo levels. A lot of our level design work is aiming to reflect the nature of the story, and of the character you play as. Originally we had planned 4 'main' levels, and 1 bonus level. The bonus level would be within the story but you wouldn't play as the main character. After re-evaluating the story a bit we decided that it was an unnecessary addition and would probably add some confusion as to how the story plays out, so it was cut to make things simpler. The level itself was going to take place on-board the T&R as it was being assaulted by the Flood. Originally, we had planned on having the Player play as another Flood Form for this level. Time: Sat April 20, 2019 9:26 AM 344 ms.